Use the blue point to change the circle's diameter. 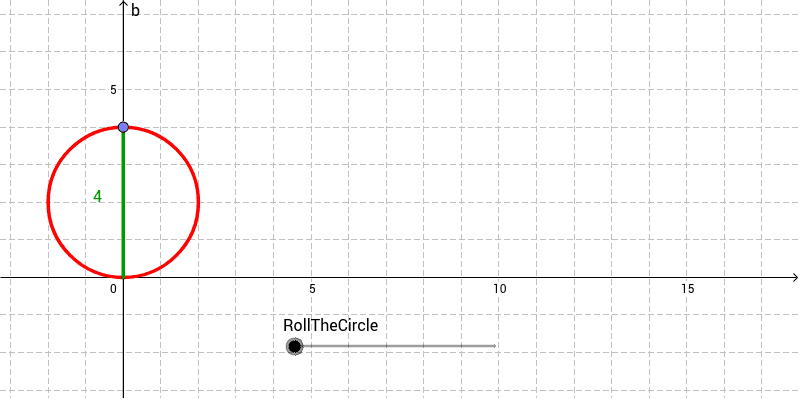 Use the "RollTheCircle" slider to watch the circle roll the distance of one circumference. How does the distance rolled compare with the diameter of the circle? How does the distance rolled compare with the diameter of the circle?